Offbeat movie buffs, discerning video renters, and critical viewers will benefit from this roll call of the best overlooked films of the last 70 years. 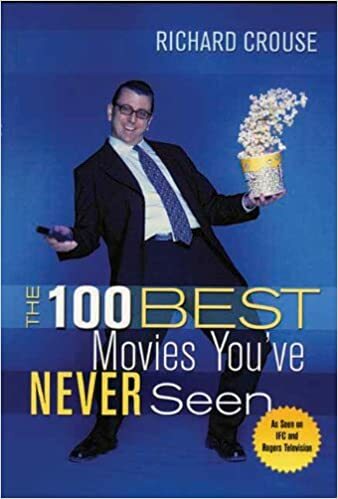 Richard Crouse, film critic and host of televisionвЂ™s award-winning Reel to Real, details his favorite films, from the sublime Monsoon Wedding to the ridiculous Eegah! The Name Written in Blood. Each movie is featured with a detailed description of plot, notable trivia tidbits, critical reviews, and interviews with actors and filmmakers. Featured interviews include Bill Wyman on a little-known Rolling Stones documentary, schlockmeister Lloyd Kaufman on the history of the Toxic Avenger, reclusive writer and director Hampton Fancher on his film The Minus Man, and B-movie hero Bruce Campbell on playing Elvis Presley in Bubba Ho-Tep. Sidebars feature quirky details, including legal disclaimers and memorable quotes. Ed Stone were old friends struggling to make it in the film business. After reading the Robert Rodriguez's how-to memoir on the making of El Mariachi called Rebel Without a Crew, the duo were inspired to make a film on a shoestring budget. They set out to write a film that they could shoot in their backyard using just a few friends as actors. As the script took shape both men realized they were writing something a little more ambitious than a patio epic that they could shoot over a long weekend.